Please find attached our March 2019 newsletter. Please find attached our December 2018 newsletter. 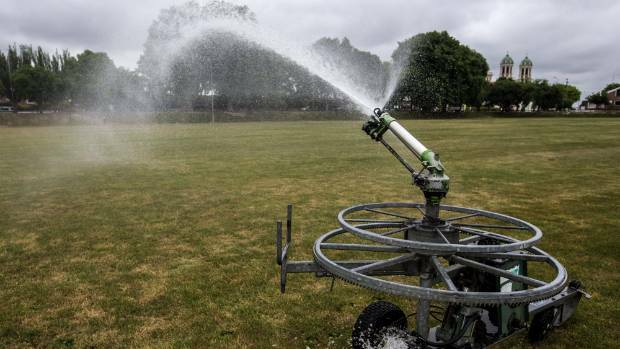 Tomorrow sees us officially commence irrigation season and it will also see the issue of the season’s first Water Shortage Direction from Environment Canterbury based upon unanimous advice from Opihi Environmental Flow Release Advisory Group (OEFRAG). The advice given from OEFRAG was to reduce the minimum flow at the Sale Yard Bridge (SYB) flow monitoring site from 6m3 to 5.2m3 for a two week period, commencing 1st Sep 18. In conjunction with this, water permit holders affiliated to the Opuha dam reduce their water takes to 75% of their consented volume. OEFRAG has met recently to consider the less than desirable water and snow conditions. 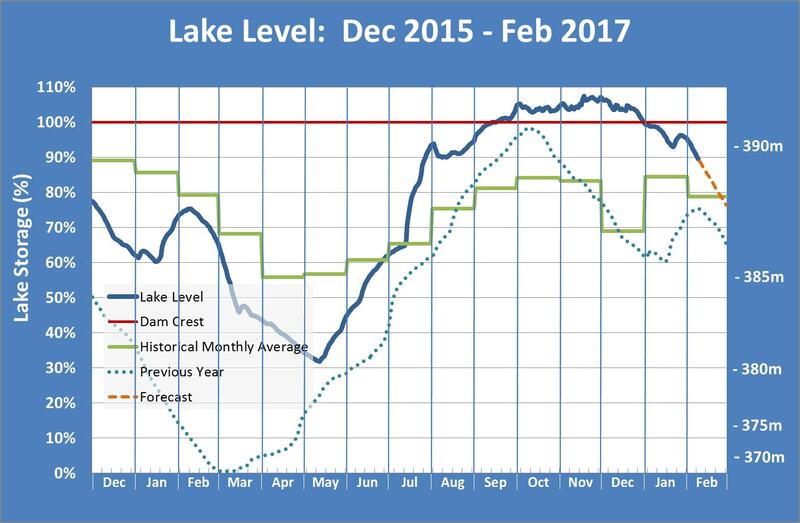 Presently the lake is at 90% capacity, Lake Inflows are below the historical 25th percentile, as of today the 7 day moving average inflow is only 2.6m3, and the snow pack for our catchment is close to the 10th percentile (for comparison it is close to 33% less snow pack than the 2014/15 season presently). The rain gauge at the dam has only recorded 42.5mm of rain since 1st June this year. 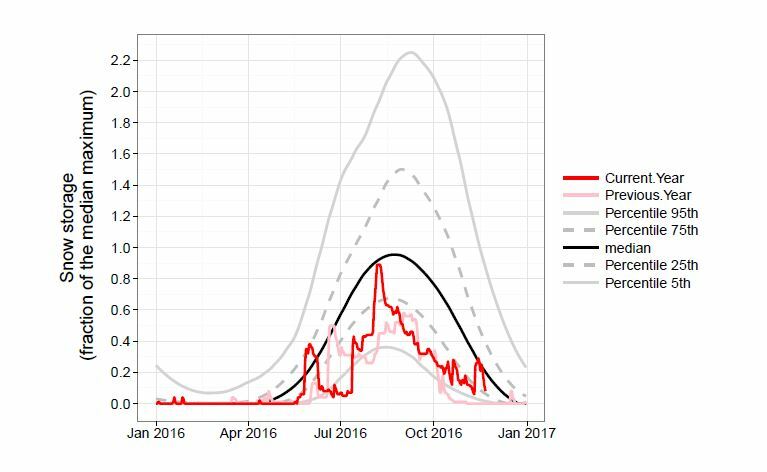 These early months of the irrigation season are the ones where river restrictions are more amenable due to the higher minimum flows. 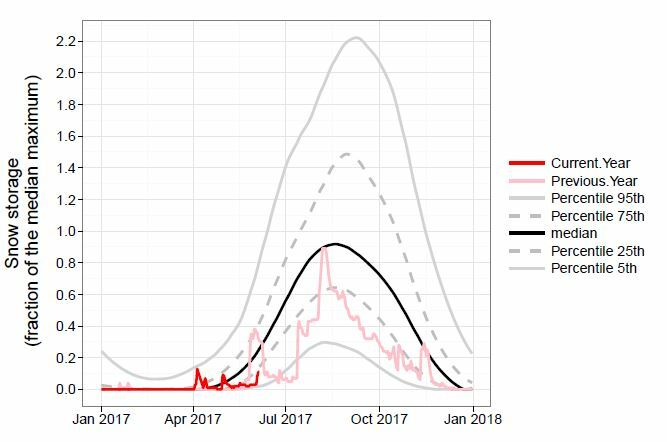 The peak summer months have lower minimum flows and therefore there is much less ability to make any meaningful impact to intra-season water storage, as the 2014/15 season demonstrated. We are watching the weather forecasts presently available with some interest. It looks like there is potential for some meaningful rain early next week. This WSD direction is valid for a two week period at which point further assessment will take place to determine the most appropriate river management scenario going forward. 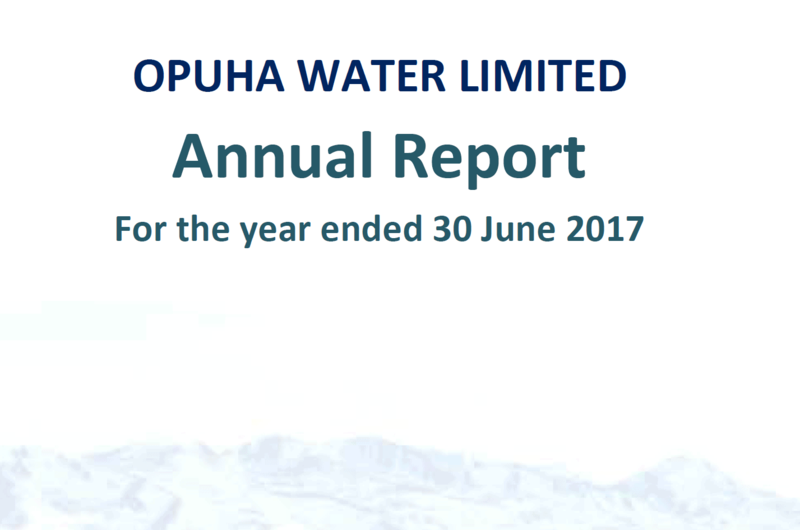 If you have any questions on this matter please get in contact with Andrew Mockford, CEO – phone 021 333 043 or email andrew@opuha.co.nz. Please find attached our August 2018 newsletter. Please find attached our June 2018 newsletter. This issue includes a note from the CEO, an update on the Healthy Catchments Project, the 2018/19 Water Charges and the FEP Audit Programme. Please find attached our February 2018 newsletter. In this issue we provide an update on the company’s current status in both the environmental and operational space. We also introduce you to our new CEO, Andrew Mockford. Andrew’s contact number is 021 333 043 and he would welcome any calls. Alternatively feel free to drop by the office and introduce yourself if you have the opportunity. With the current rainfall in the region, we believe the conditions are very good for an effective flushing flow in the river to try and deal with the high didymo and other algal levels in the system at the moment. We expect that the rain will result in natural flows in the river of at least 30 cumecs by Friday morning and we have scheduled a 50 cumec release from the dam for 7am in the morning (Friday 12th January). This ‘pulse’ will travel down the river during the day and we have planned it to arrive at the river mouth for the evening low tide at 7.20pm. Note that the ‘pulse’ will attenuate as it moves down the river and, we expect will likely only see flows below the SH1 bridge increase by 20 cumecs over a 2-3 hour period. 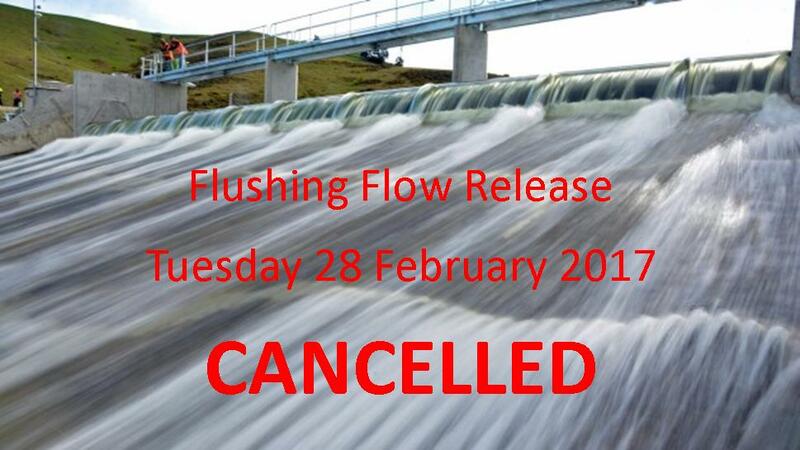 The irrigation schemes have been shut down and we advise anyone with irrigation intakes directly off the river to close down for the day as the river can be expected to be cloudier and contain higher levels of natural debris than normal. Anyone who intends to be near the river during the day (or have stock near the river) should be aware that the river flows may change unexpectedly and people should take appropriate precautions. Once again, I seem to be needing to start my newsletter with a “who would believe the conditions! 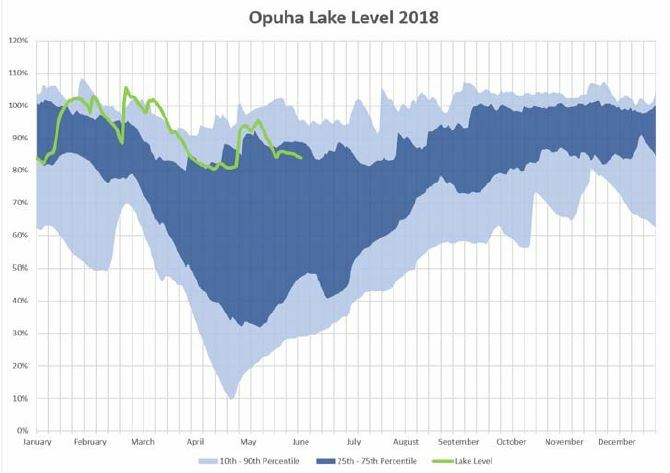 ?” This season we have seen an almost unprecedented (certainly in my time at Opuha) swing in conditions from very wet to extremely dry in a very short time. 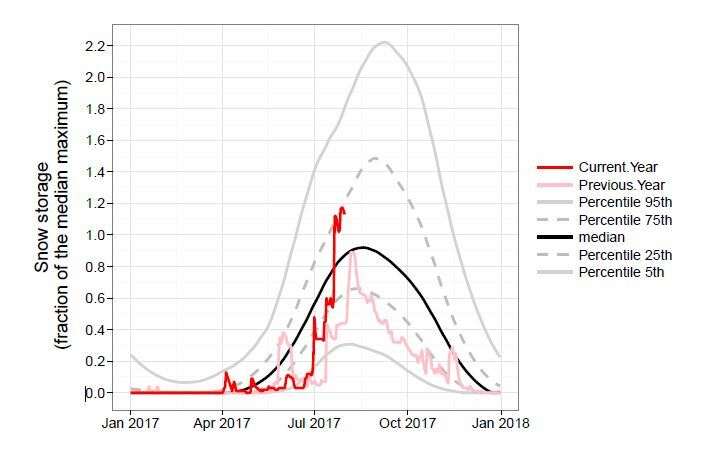 This swift shift in conditions resulted in a very rapid increase in irrigation demand from virtually zero in early November up to near 100% four weeks later. This required some very special efforts from our Ops team to get the schemes up to full capacity in such a short time and presented some unforeseen challenges which I will explain later. In this newsletter we provide an update on our storage situation and our recent operational challenges and advise of a very significant milestone in the Healthy Catchments Programme which we believe all shareholders need to be aware of. I’ve included some comment on water metering, flood flows and a request for your assistance as we head into the Xmas/New Year season. There’s some information on our new lake operating regime and we also have advice of some shares available for lease. I expect this will be my last newsletter as I hand over to the incoming CEO, Andrew Mockford, on the 15th January. I will be around for a couple of weeks from the 15th as part of a handover process to Andrew. On that basis I would like to wish you all the best for the Xmas and New Year period and onward into the season and seasons ahead. It has been an absolute pleasure and privilege to lead your cooperative over the last (nearly) seven years. We’ve achieved some good things and also faced some real challenges in that time. There is no doubt there are still plenty of challenges ahead for all of us – especially as we adjust to the changing regulatory, political and social environment in which we must operate. I am confident that Opuha has a good foundation (a single, united cooperative; a robust Farm Environment Plan programme; a very competent and informed Board and a very capable team headed by an enthusiastic CEO, to ensure the best outcomes for our shareholders. The front page article in the Timaru Herald on 7th December includes a comment relating to the Opuha Dam that I would like to clarify with you as I believe it is misleading and actually inaccurate. 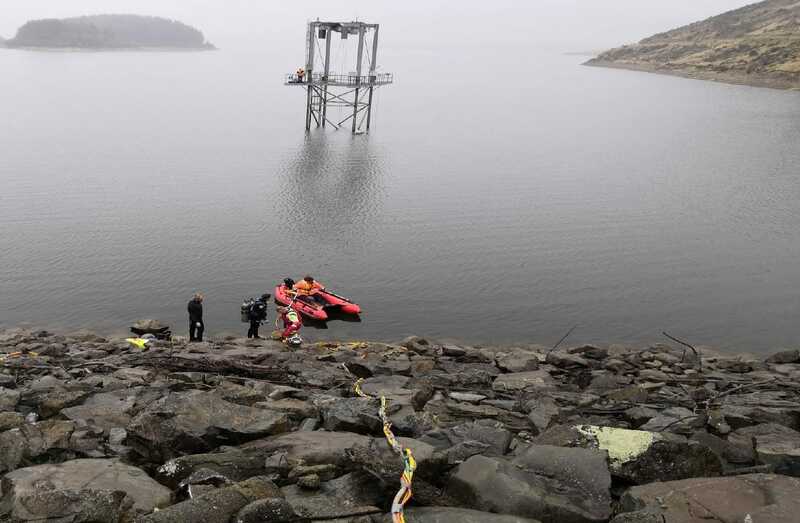 I refer to the paragraph that says “However at Lake Opuha Dam, the water level was 391 metres, still well above the 375m level when restrictions kick in” This comment was not part of the written statement I provided to the Herald and has been composed by the Herald reporter. I am concerned it portrays a level of ‘comfort’ that does not exist as far as I am concerned. The statement is referring to the original conditions within the current Opihi River Regional Plan (ORRP) and in our consents but does not reflect the way we would manage any restrictions (or the way we did in the two drought seasons of 2014/15 and 2015/16). We have an established process now that involves OEFRAG and ECan that enables much earlier intervention to impose moderate restrictions on irrigation and/or river flows if it is determined that there is significant risk of running out of stored water in the lake. As my written statement described (and presented in the article), the lake is at a good position but we are concerned about the pending dry conditions. We are evaluating the situation on a daily basis and I will be liaising closely with the OWL Board and OEFRAG on the outlook and whether there is a need to consider any level of restriction. 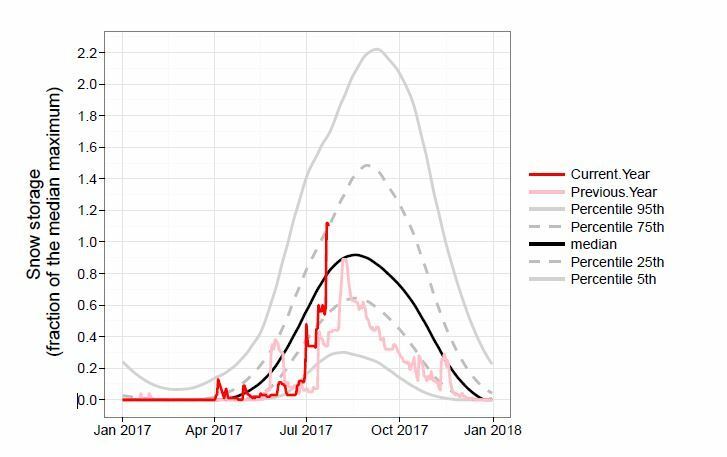 We are currently releasing an almost unprecedented amount of water for this time of the year which will have a fairly significant impact on the storage level if it was to continue. All the irrigation schemes are running at very high capacity. 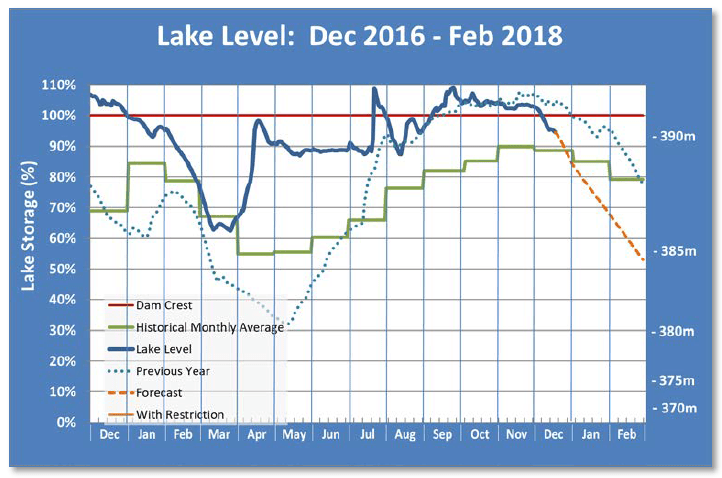 I have copied a chart below that indicates the impact on lake storage if we were to continue our current rate of consumption and inflows continued to deteriorate at the their current rate. I admit that this would be a near worst case scenario but will only be moderated by decent rain to ease demand and halt the decline of natural river flows. The main point of my email here is to ensure nobody misinterprets the comment that the Herald has composed in their article (that we are ‘well above when restrictions kick in”) and advise you all that we appear, at this stage, to be facing a very dry period which might once again test the capacity of our scheme and I would not rule out some level of precautionary restrictions. I would re-iterate Mark Adams comment in the same article that “farmers needed to look at their systems in light of the fact it was going to be dry”. I had intended to issue a newsletter in the next few days but the article this morning has prompted me to communicate via this email message. We will update you all on a weekly basis over the next period. 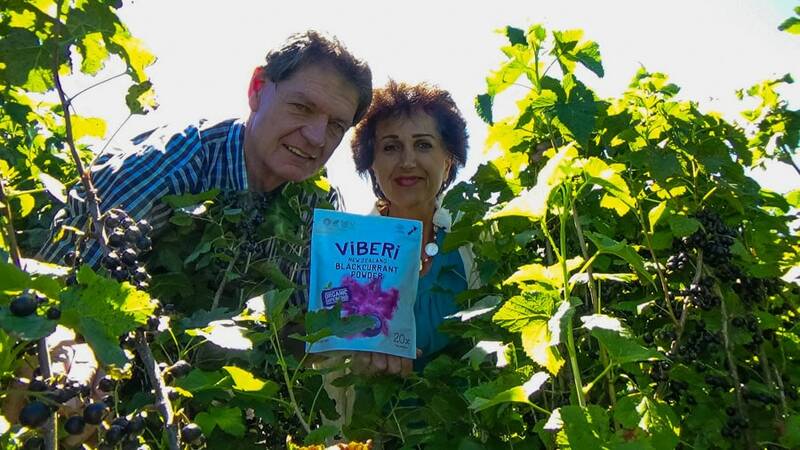 In Part 2 of our ‘Untold Stories of the Opihi River’ we meet business owner, Tony Howey, who talks about how the Opihi River and Opuha Dam has helped South Canterbury businesses to thrive. The Opihi River’s high quality water has made it the most ideal source of water in the district. 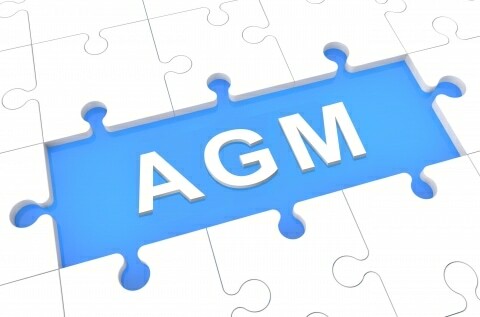 For further information, and to download the formal notice of meeting and meeting agenda, please download the document below. Directors nominations closed on 29th September 2017 and four nominees were received for the two vacancies. Shareholders are encouraged to participate in the voting process. Instructions for voting and how to return the voting paper are included on the form. Closing date for return of the completed voting papers is 4.00pm on Wednesday 25th October 2017. The 2017 Annual Report is now available for download. Two weeks ago conditions were so wet everywhere I would have said “nobody’s even thinking about irrigation” but then we had a few days of nor’ west conditions that had us rethinking. Now, with the very wet conditions we’ve experienced over the week we’re not really expecting any water orders any time soon. 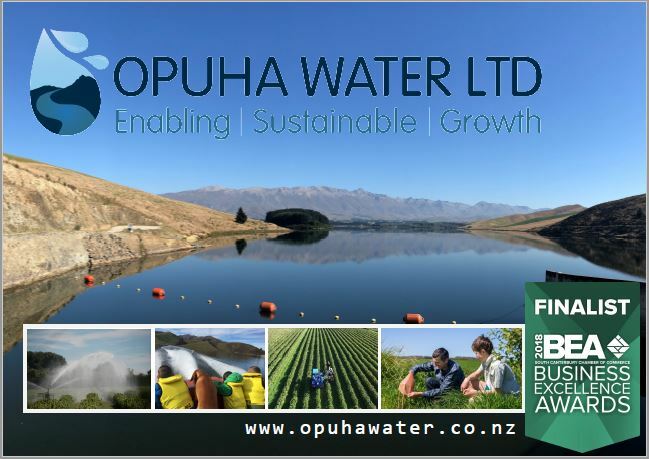 We’ve had quite an eventful period since June’s newsletter – both in the catchment, ‘behind the scenes’ (aka the OTOP Healthy Catchments Programme) and also organisationally. In this newsletter we update on the hydrology and storage situation and what’s been happening around the catchment and the scheme; we’ve some changes at the Board table to advise you of as well as pending changes as I am departing our great little organisation; I’ll update on how we’re tracking commercially; there’s an AGM coming up with a few things associated with that and there is A LOT going on in the Healthy Catchments Programme (HCP) space. I cover off the key points of the HCP and Julia has prepared a separate comprehensive update for you which accompanies this newsletter. The graph above shows the estimated snow storage in early August 2017. 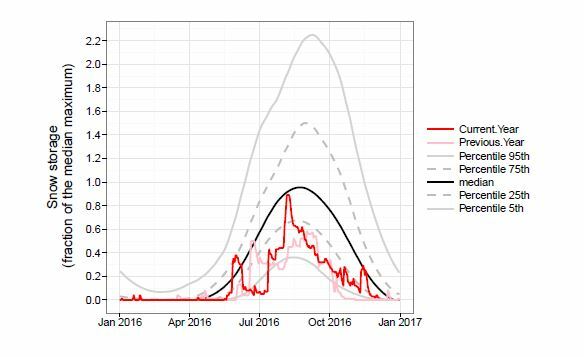 The graph above shows the estimated snow storage as at 25/07/2017. There is more than average snow for this time of year. Following the recent storm, our gauges have indicated that Fox peak did not record nearly as much as Dobson, but the wind speed at Fox was very high, so most of the snow was probably traveling sideways. 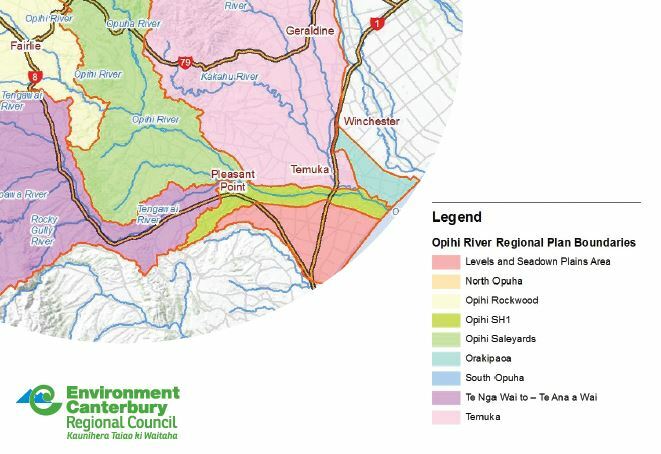 It’s obviously all quiet on the irrigation front but there is still plenty of activity in our sphere of business – most especially to do with the Land & Water Regional Plan/Canterbury Water Management Strategy (LWRP/CWMS) which, in our Zone, is referred to as the Healthy Catchments Project. (HCP). 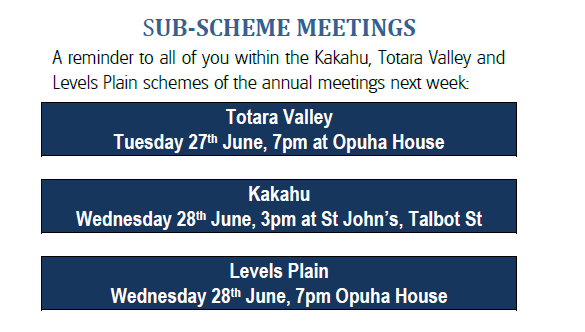 While we realise that some of you are directly involved in this process through your catchment group activities or may have attended the recent series of public meetings, we’ll provide an overview of the process and our view on that. 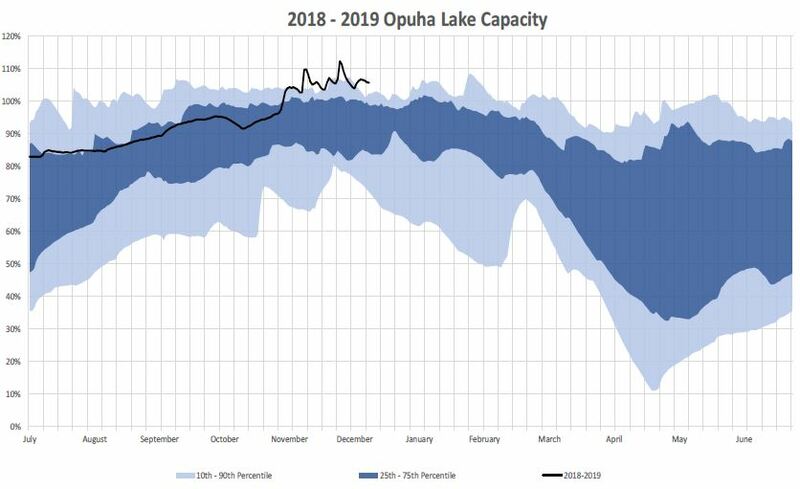 Nothing startling on the water storage situation (that’s good!) but we’ve got an update nonetheless. Water metering is still on our agenda and we are expecting that everyone will be aware of the company’s policy requiring metering and telemetry for all takes over 5 l/s. By our reckoning, there are about 60 water users who don’t appear to have metering and telemetry information that we can access so we will be following up to ensure either you have plans in place or, alternatively that you would like us to manage the upgrade for you to ensure everyone has the right equipment installed for next season. The graph above shows the estimated snow storage as at 08/06/2017. Due to high levels of phormidium in the Opuha Gorge, Opuha Water Ltd is planning on carry out an “artificial fresh” on the Opuha river. It is our aim to coincide the artificial fresh with the rain event which is forecast for later in the week, the high river flows generated by the rain would allow any algae to be taken out to sea. 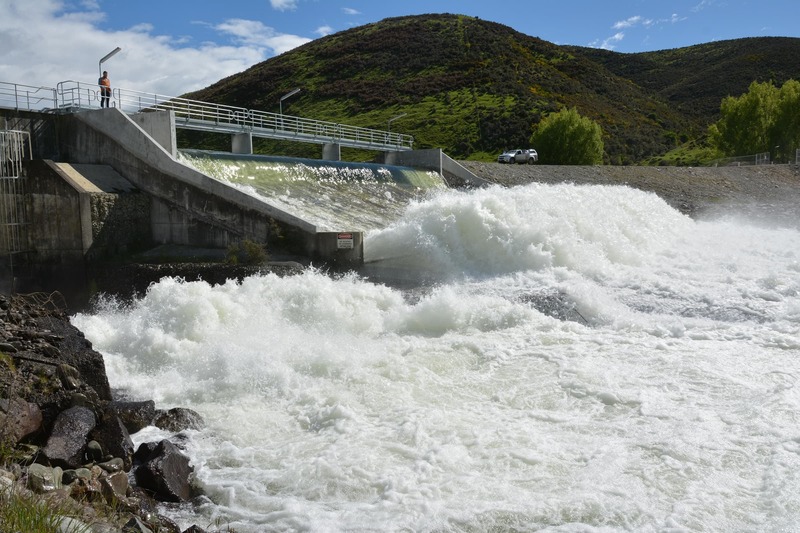 We will be aiming for a peak flow of around 60 cumecs in the Opuha River, so any public are advised to stay clear of the Opuha and Opihi Rivers and their banks from Thursday afternoon until midday Friday. 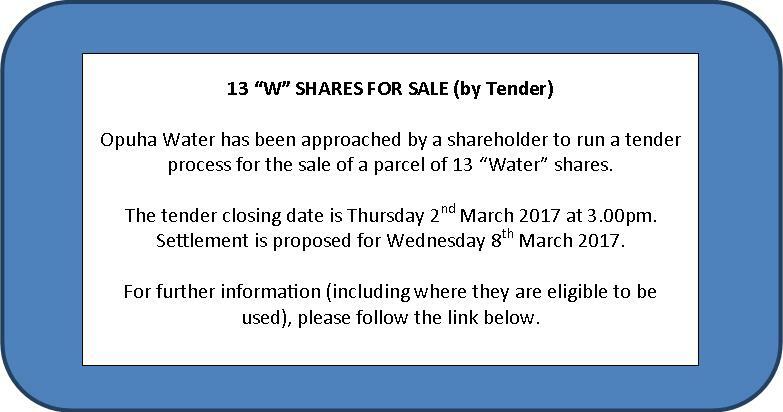 If you require any information in relation to the above, please contact Craig Moore (Operations & Asset Manager) on 027 460 9721. 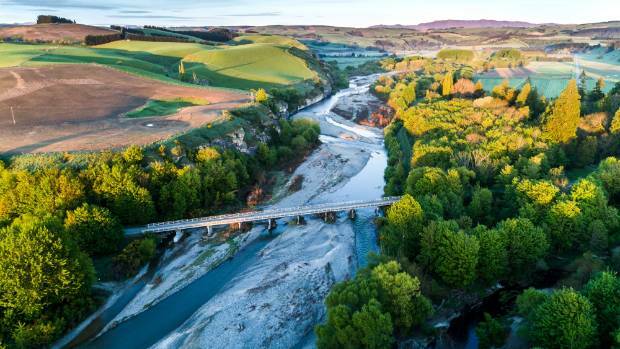 Environment Canterbury is hosting two community meetings to share information about the effects of shallow groundwater takes on river flows (stream depletion) in the Opihi and Temuka catchments and Levels and Seadown Plains area. Please download the flyer below for further information. Greeting to you all. 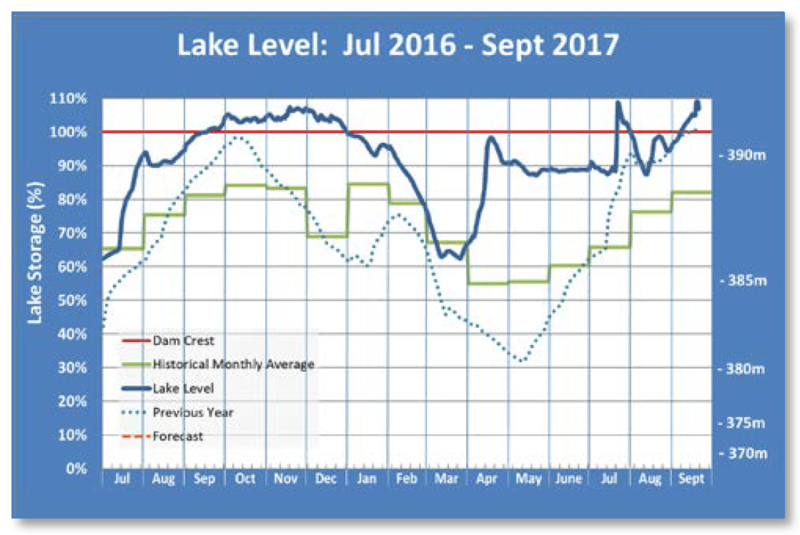 It seems, from our side of the ditch at least, that it has been a relatively good season for most of our shareholders with the weather providing good growing conditions and the lake storage levels remaining good enough to ensure a reliable irrigation supply when required. We anticipate that for many of you, the very good rain in the middle of March may well signal the end of your irrigation for the season. We’ve chosen to concentrate the majority of this newsletter to environmental management and in particular our activities under our own ‘Healthy Catchments Project’. After the weekends rain event, the flow in the Opihi River above the confluence has increased to a level where it will now be removing some of the phormidium and other algae from the river bed. To ensure this is removed from the river and taken out to sea, Opuha Water Ltd will be increasing the flow in the Opuha River this evening, to match what would be naturally occurring. The Opuha River flow will be increased to approximately 20 cumecs at 8pm on the 13th March, and will likely remain around this elevated flow for up to 12 hours. 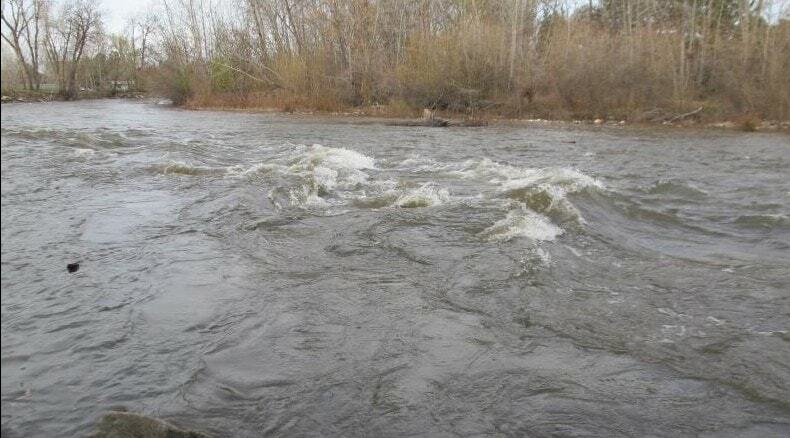 River users are to be aware of higher than normal flows in the Opuha River and downstream of the confluence until Wednesday the 15th of March. Warning signs have been placed at the main areas of river access, along with some down at the lagoon. Farmers and known river users around the Skipton area will be contacted. 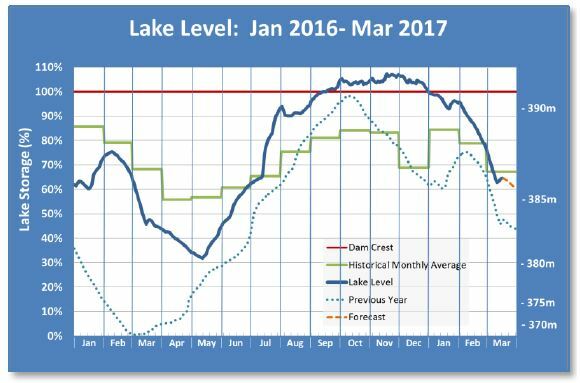 The lake storage is currently in good shape at around 89% full which is 10% above average for February. We expect it to be closer to average by the end of the month as irrigation demand is currently running at around 85%-95% at times and river flows are being augmented. 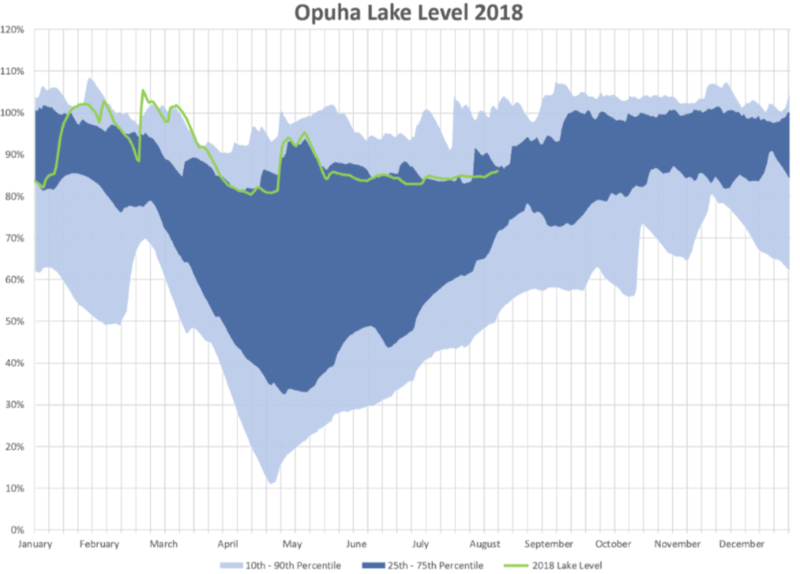 The lake is dropping around 0.7% per day. What a difference 12 months can make? The common view around our farming region appears to be “it’s never looked better” and we are sitting on maximum storage in the lake as we approach Xmas. In 2014 we were at 41% storage and last year 66% and irrigating flat out. 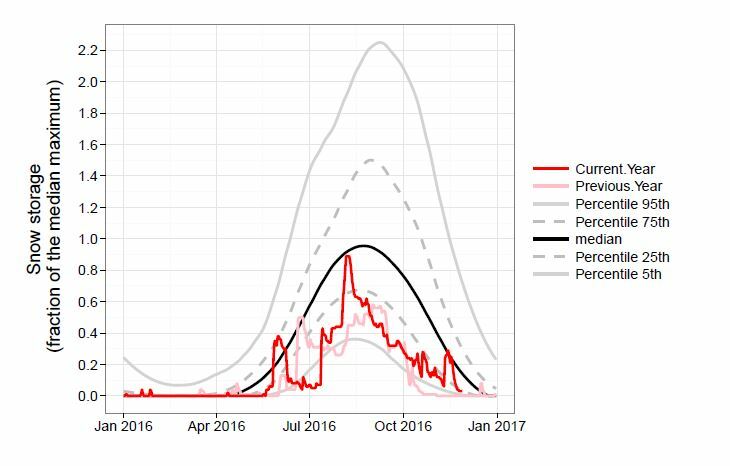 Current water orders equate to around 40% demand and that has only just kicked up after a quiet October and November (11% and 7% respectively). 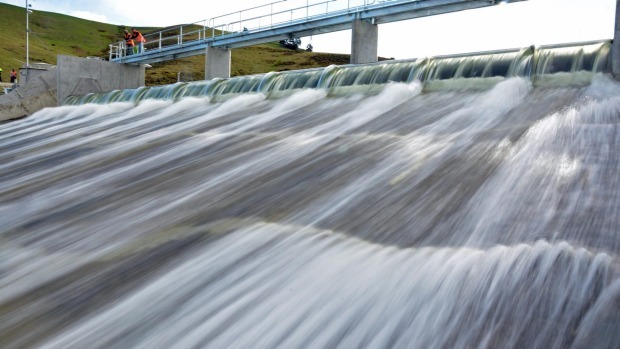 The commissioning of the upgrade to the downstream weir has had a significant impact on our lake storage regime with the additional confidence in maintaining the lake level at or above 100%. 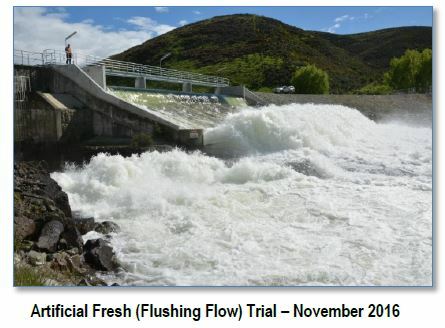 In this newsletter I’ll update on our water storage with an optimistic outlook for the season ahead, and then provide updates on a number of current issues and initiatives including outcomes from our recent AGM, the downstream weir upgrade, our work programme around the Sub-Regional Plan process (ECan’s ‘Healthy Catchments Project’), water metering, water ordering, Board membership and staffing. There is also a notice and attached letter relating to use of private information. NOTE: THIS NEWSLETTER HAS NO WATER RESTRICTIONS ASSOCIATED WITH IT! The graph above shows the estimated snow storage as at 05/12/2016. The graph above shows the estimated snow storage as at 29/11/2016. The graph above shows the estimated snow storage as at 20/11/2016.